06 D 48 / 18, 06 D 68 / 24, 06 D 75 / 37, 06 DA, 06EA, 06 EB, 06 EC, 06 EA, 06 EE. 3E5H 40, 3E 5H 50, 3E 5H 60, 3E 5H 80. 4C 75, 6C 75, 6C 75, 8C 75, 4C 75L, 6C 75L, 8C 75L, 4HC 75, 6HC 75, 8HC 75. 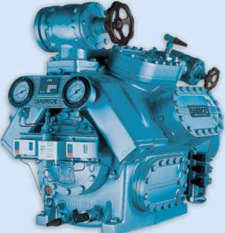 AC - 4 - 70, AC - 5-70, AC - 6 -70, AC - 8 - 70, AC - 10 - 70, AC - 12 - 70, AC - 14 - 70, AC - 16 - 70 . 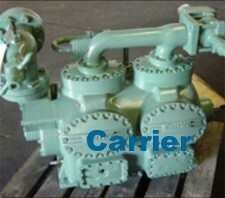 Ingersoll Rand Compressors since a long time. Ingersoll -Rand Thermo Star Refrigeration Dryers are available in 16 models of different sizes to suit all applications. 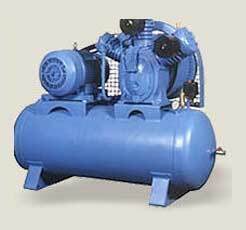 We are also well renowned as one of the reliable Ingersoll rand compressor suppliers in India. 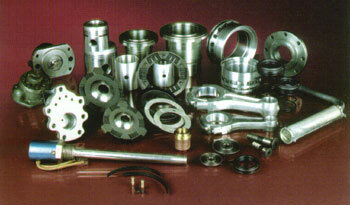 1 ) Connecting rods are available in MOC of Aluminium, Leaded bronze, SG Iron& Forging. 2 ) All the Connecting rods are machined on both the sides. 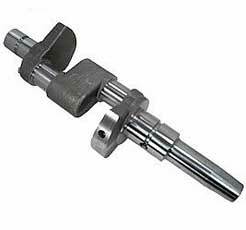 Centre distance between big end & small end is maintained for perfect straightness & perfect boring of big end & small end. 3 ) Big end & small end of connecting rods are perfectly bored so as to match original clearances with steel bush for Air cooled unit & aluminium / Bronze floating bushes for water cooled unit. 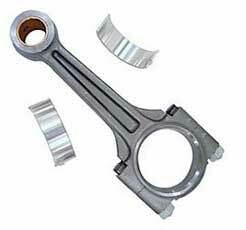 4 ) The above Connecting Rods are availabe ex-stock & ready for shipment in case of urgency. 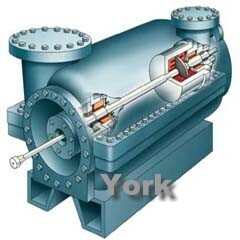 1) Crank shafts are available for both the type of compressor that is Air cooled & Water cooled unit. mounting of centrifugal unloaders to release pressurised Air / Gas from Intercoolers during unload position. 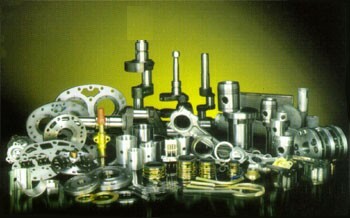 lubrication & to maintain oil pressure. 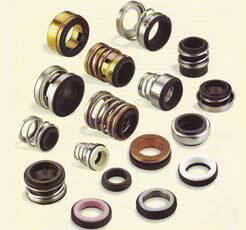 These types of Seals are single coil spring with elastomeric bellows. Designed for Water, Oils and Light duties. 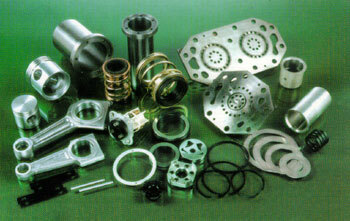 These Seal function independent of direction of rotation special materials can be offered to meet specific requirement. EN.47 ,47J , chrome alloy discharge and suction valve plates and spring plates Graded cast iron valve plates dully heat treated with micro finish.Valve plates of different designs are manufactured as per OEM'S specifications made out of carbon steel, S.G. iron castings, graded closed grained cast iron etc. and properly ground to fine finish for immediate matching with the related components. 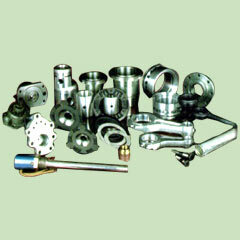 Valve assemblies are manufactured in different designs viz., reed type, ring type, concentric type, channel type, dampened disc type. 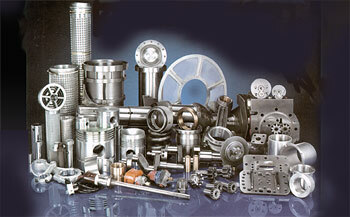 Valve assemblies are made out of stainless steel, carbon steel , S.G. iron etc. 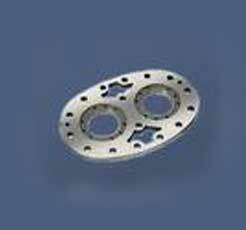 Valve plates are made out of flapper valve steel, spring steel. 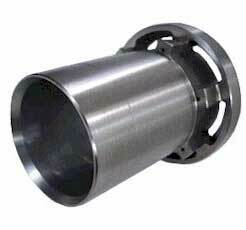 Valve seats and valve plates are micro lapping finish to ensure zero leakage. 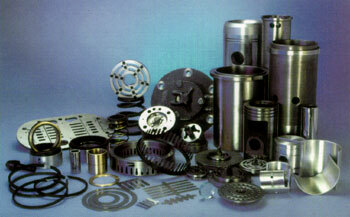 Pistons are made up of aluminum alloys, Graded cast iron pressure die casted & shell moulded piston are available. 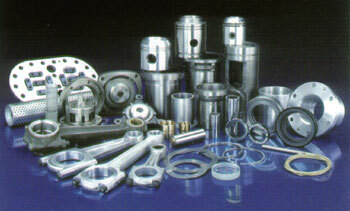 Piston Pin & Crank Pin are manufactured from case hardening alloy-steel of recommended grade i.e. 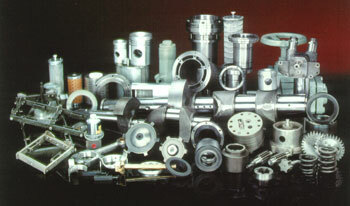 EN32B, 20 mncr5, SAE8620,EN 353 & 415H or equivalent etc.